Trying to get milked? 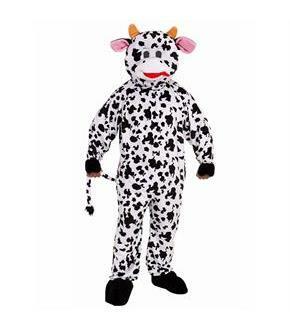 Make every guy and gal salivate over your scrumptious body parts this Halloween, and dress up in the Adult's Cow Mascot Costume. There's nothing more relaxing than grazing, and it is super easy to moo when you're drunk, so this is the perfect Halloween party fit. The black and white spotted outfit comes with a cow headpiece, a jumpsuit, and shoe covers. The only parts of this ensemble which aren't spotted are the solid black shoe covers and gloves and the pink ears and tan horns on the cow face headpiece. There is also a long tail attached to the back of the jumpsuit. 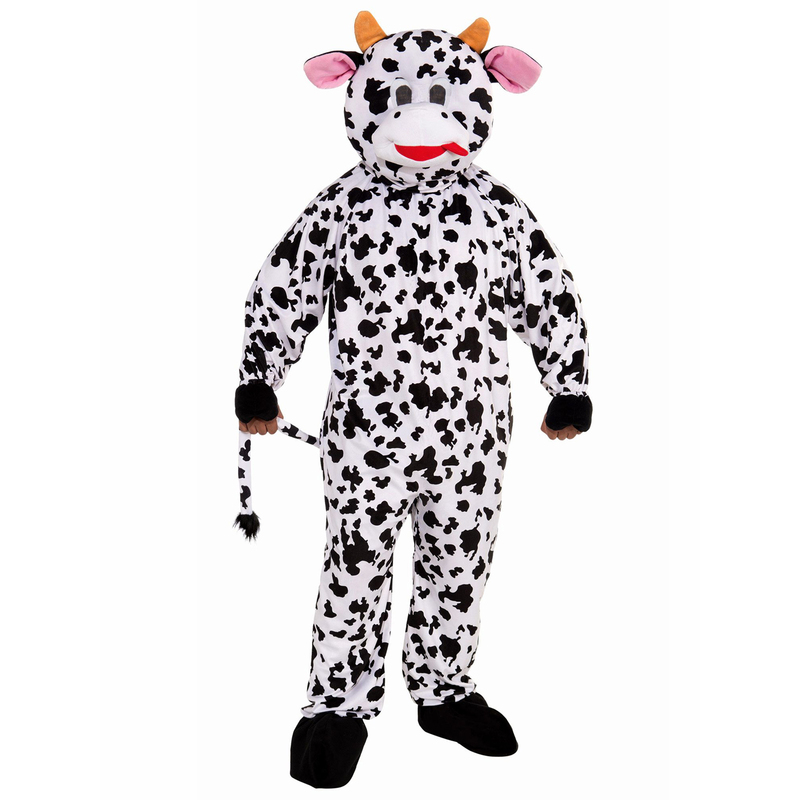 I sense nothing but green pastures ahead of you this Halloween, but only if you buy the Cow Mascot costume for adults.